The George Washington - PyRsquared Management Group, Inc. 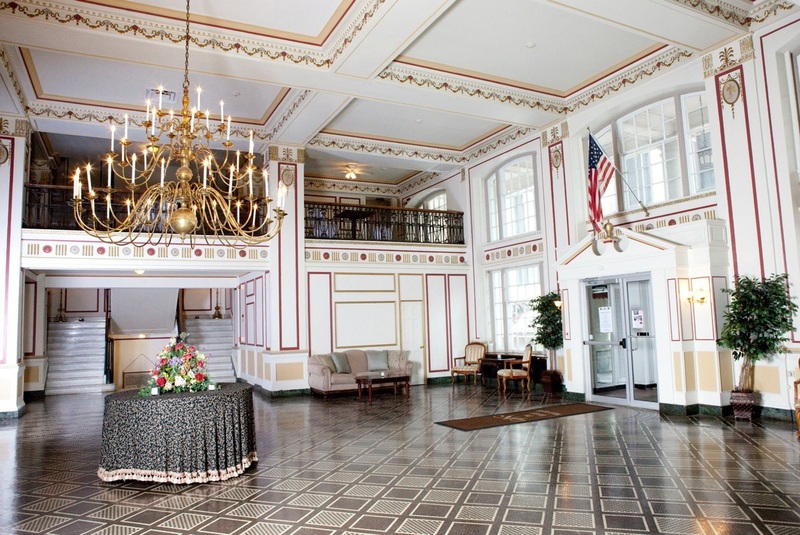 The George Washington Hotel in Washington, Pennsylvania was designed by renowned architect William Lee Stoddart. Built in 1922, it opened on February 22, 1923 - George Washington's Birthday. Located at 60 South Main Street, this complex included a movie theater which has been demolished. The hotel's Oval Room, now one of the banquet rooms, had originally functioned as the theater foyer. Ballroom on the Mezzanine was referred to as the "Pride of the George Washington". Since then, it has been graced by many persons of distinction. The hotel is also home to the largest remaining mural of early American artist, Malcolm Parcell. Malcolm Parcell created 6 murals for the Pioneer room. The Conestoga Wagon, Pony Express, Pack Horse, Stage Coach, Lafayette visits Washington and Bradford's Escape. Parcell lived in Washington, PA in a small white house he called Moon Lorn. The name was a reference to trees on the estate that obscured Parcell's view of the moon. This odd house became part of his artistic legacy too. Parcell designed the place by adding new rooms onto an older structure and fashioning both interior and exterior into a romantic cottage of mainly colonial design. Kyrk Pyros purchased the George Washington Hotel in December of 2002. He saw incredible potential in reviving the hotel to its previous glory. Since he acquired it 13 years ago he has taken tremendous steps in repairing damage from the previous century. Now the hotel is once again the incredible luxury building it once was. The bar and restaurant are booming, and weddings are held several times a week in the beautiful banquet rooms. Its comeback has been swift and undeniable.